The Big News in Military Disability: Could the VA Cover In Vitro Fertilization in the Future? Could the VA Cover In Vitro Fertilization in the Future? A bill was introduced in the House on May 12 aimed at providing additional reproductive treatment for eligible disabled veterans. 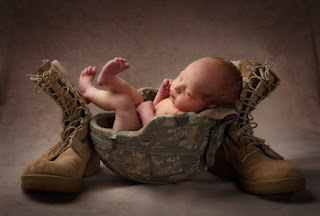 If this bill is passed, the VA will provide In Vitro Fertilization (IVF) to couples who have not been able to conceive due to the veteran’s service-connected disability. IVF is the process where eggs and sperm are combined outside the body in a laboratory, and the resulting embryos, usually at least 3 at a time, are then implanted in the uterus, hopefully resulting in a pregnancy. IVF is a complex and very expensive procedure and is never the first choice of treatment for infertility. In fact, it’s usually the “last resort” treatment choice, after other methods such as fertility drugs, surgery, or artificial insemination have been tried. To be eligible for IVF under this bill, a veteran must be enrolled in the VA Health Care System and have a service-connected disability that includes an injury to the reproductive organs or spinal cord that directly results in infertility without medical assistance, or be the spouse of such a veteran. The VA would be limited to providing no more than 3 IVF cycles, resulting in no more than 6 implantation attempts. In addition, the VA would cover cryogenic (frozen) storage of unused embryos for no more than 3 years, after which time the veteran would be responsible for further storage costs. The VA would not be able to provide any benefits to a surrogate or be able to provide any help in obtaining a third-party donor. This bill has only recently been introduced and is still in committee. We will keep watch on it and let you know when progress is made.